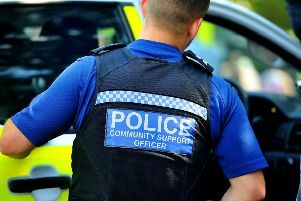 Police are appealing for witnesses to two burglaries in one day in Crowborough. Two homes in Crowborough Hill were broken into on Thursday December 4, probably after 2pm and before 6.30pm while the residents were out. The intruders forced their way in through the rear of the properties and left with a quantity of jewellery. On Tuesday December 2 intruders entered one home in The Grove, Crowborough, and broke the handle off a door trying to get into a second one in the road. Detective Constable Richie Davidson said: “There are similarities between the burglaries on Thursday and the incidents at The Grove so we are considering the possibility that they could be linked. “We need to speak to anyone who was in The Grove or nearby on Tuesday evening or in Crowborough Hill on Thursday who saw or heard anything suspicious. Anyone with information should email 101@sussex.pnn.police.uk quoting serial 1217 of 04/12, call 101 or contact the independent charity Crimestoppers anonymously on 0800 555111.